Astronomers believe that comet 67P or what it is called, Churyumov-Gerasimenko, might have an extraterrestrial presence. Scientists based their opinion on numerous features such as rich black crust over lakes covered with ice, flat-bottomed craters, large and wide seas, which were discovered on the comet. Moreover, the giant boulders lying on the surface of the comet indicate the existence of microbial life. 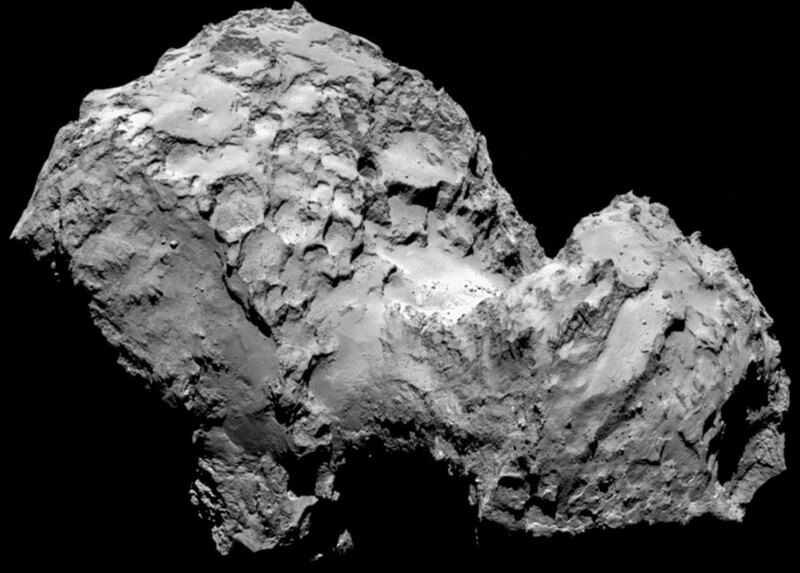 The University of Cardiff’s astronomers, Chandra Wickramasinghe and Max Wallis referred to the readings of the European Space Agency’s Rosetta Orbiter, establishing the fact that the comet is not just an inactive body but is home to microbial life. They held the view that such microbes can be identical to “extremophiles,” which thrives in some of the most hostile parts of the earth. The claims of the two astronomers appear to be true given the findings of the Rosetta spacecraft, which discovered “clusters” formed of an organic material similar to viral particles. The astronomers further suggested that the environment within the comet is likely to be more friendly to the growth of the microbial life than the earth’s Arctic or Antarctic regions. They reasoned that microbes could grow and survive on icy layers. However, the mission scientists have put water on these claims, stating that the comet’s atmosphere is highly hostile to support the existence of microbes. Both, Professor Monica Grady of the Open University and Rosetta project scientist Dr Matt Taylor have dismissed such claims, calling them as purely speculative and highly unlikely. It took nearly ten years for the Rosetta spacecraft to approach 67P and launch its Philae probe only last November. Though, the findings by Wickramasinghe and Wallis, if true, might not attest the presence of an alien life as anticipated by some, but it will certainly serve as evidence that the life exists beyond the solar system.